The new Simrad A2004 is a dedicated autopilot controller designed to meet the needs of workboat, commercial fishing and passenger vessels. 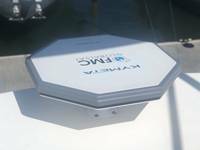 The A2004 is suited for vessels that don’t require SOLAS Heading Control Systems but do require a proven autopilot interface backed by Continuum software for accuracy and ease of use. The autopilot’s information is presented on a wide-angle and zero-fog color display and is engineered for responsiveness and ease of use with a precision rotary control dial and dedicated buttons for instant access to steering modes, a custom-configurable work mode and automated turn patterns. 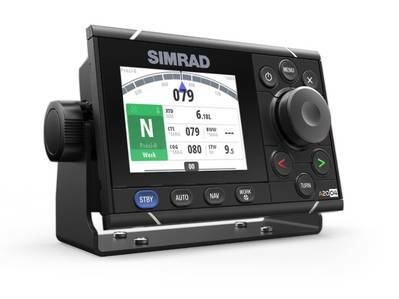 The new Simrad A2004 autopilot builds upon the user interface and keypad layout of the Simrad AP70 and AP80 professional autopilot controllers and includes updated features compatible with the latest generation of Simrad radar, sonar and ECDIS displays. A large aluminum rotary control dial enables quick but precise steering adjustments, while dedicated keys offer instant access to steering modes. All built-in controls are designed for ease of use with wet or gloved hands in commercial settings such as fishing vessels and workboats. The A2004 also supports a wide range of Simrad autopilot remote controls and steering levers. To ensure visibility in all conditions, the A2004’s color LCD panel is optically bonded to its protective glass covering – eliminating the possibility of internal condensation. An ultra-wide 170 degree viewing angle means key autopilot information is clearly visible at a glance, from anywhere in sight of the display. Autopilot settings can be tuned for ideal performance in separate low-speed, high-speed and Work modes. 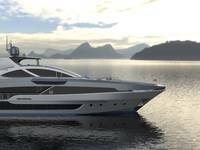 The user-configurable Work Mode allows the autopilot system to be configured for optimal response in a specific situation, such as a fully-laden vessel. The A2004 enables autopilot control of a single thruster via an optional AD80 or SD80 interface module. The thruster can be set to engage automatically below a user-defined speed threshold, and configured separately for normal and Work modes. 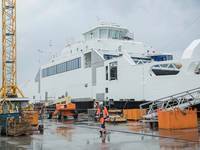 The A2004 also supports specialized heavy-duty rudder feedback units designed for reliable operation aboard commercial vessels. The Simrad A2004 autopilot is currently available.